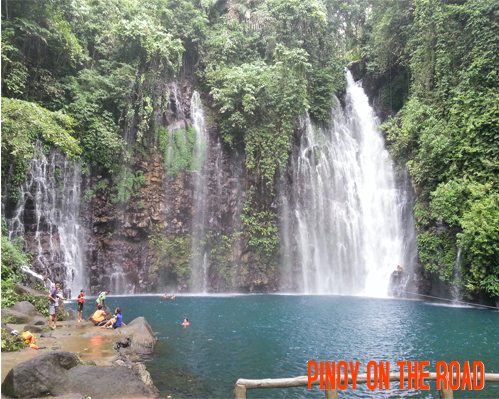 Blessed with more than 30 known and explored waterfalls, Iligan City is home of one of the most beautiful Philippine Waterfalls I have seen – the mesmerizing, enchanting and captivating Tinago Falls. Tinago means “hidden” in English. 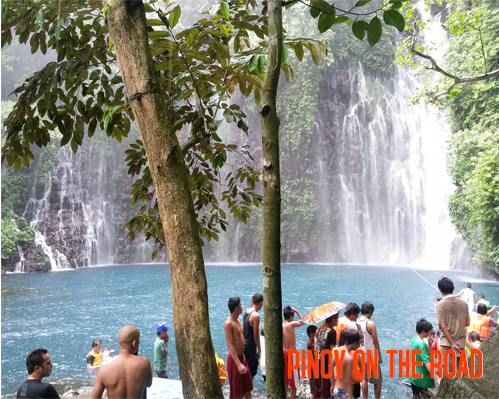 Tinago Falls is located in the deep ravines of Barangay Ditucalan and has a height of almost 80 meters. Its cold waters cascade very gently and beautifully in a natural basin that looks like a blue lagoon amidst the forest that surrounds it. At the registration area, I opted to get a local guide since I needed someone to take photos of me (lol). 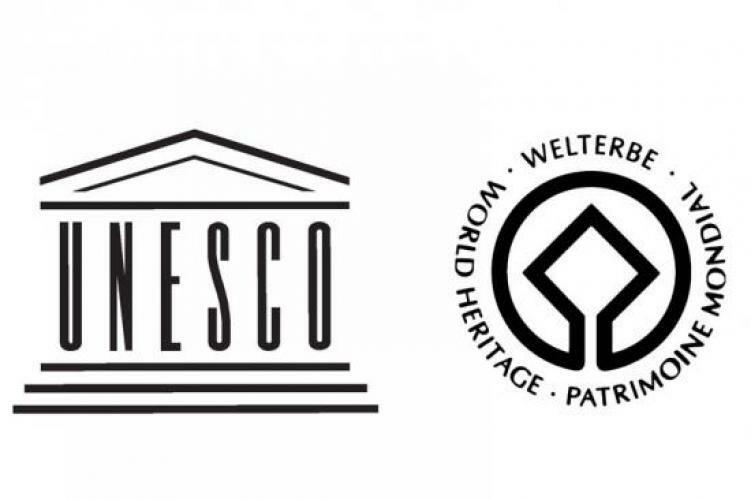 Tour guide fee is 100.00. I have heard that there is an entrance fee here but it is actually a donation to the barangay for the “maintenance” of the falls. So one can either give 10.00 or more or none at all. 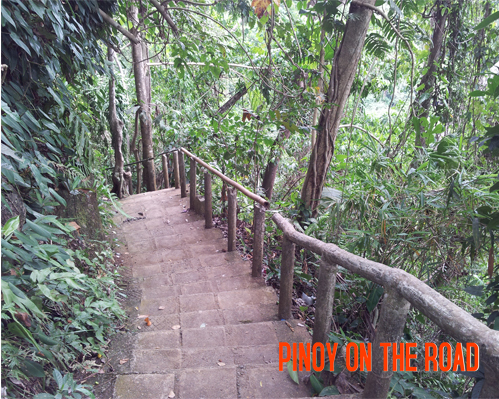 The trek going down the ravine is provided with 500 concrete steps though the hand railings are made of bamboos and other indigenous stuff. Going down or getting up is made easier with these structures that have been built. When we got at the bottom, there were many people enjoying the waterfalls. Perhaps because it’s Sunday and it’s a family day. For safety purposes, wearing a life vest is encouraged when one gets down to the natural pool. Life vest are rented out for 20.00 regardless of how long you use it. Also, if you happen to have missed your swimming shorts, they also have one for rent at 20.00. Most that come here bring their own foods and drinks as there are no available restaurants in the area. Hence the garbage scattered all over. I just wish people become more responsible about their own garbage so as not to destroy the environment. I stayed here for about 3 hours to wait until the rain stops. 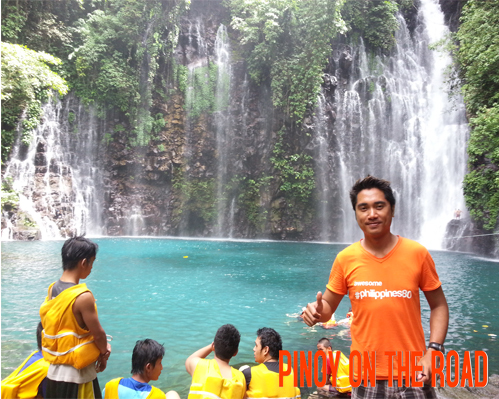 Despite the rain, despite the crowd, despite the garbage, Tinago Falls is a must-see and certainly one of the most beautiful waterfalls there is in the Philippines! 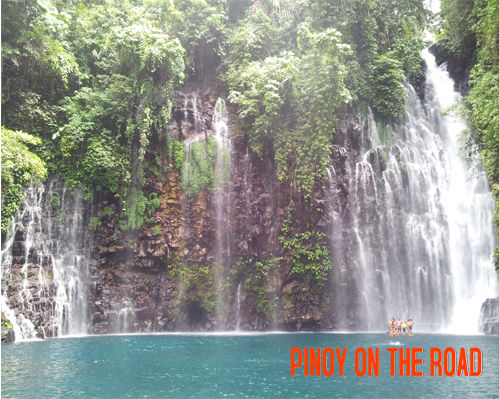 Tinago Falls is one of the three falls in Iligan City that can be visited within a day. 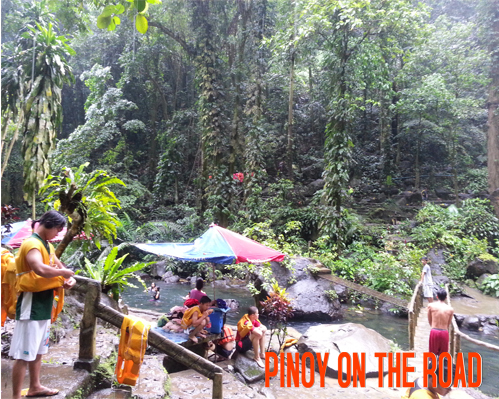 The habal-habal driver in Maria Chrsitina Falls can bring you here. 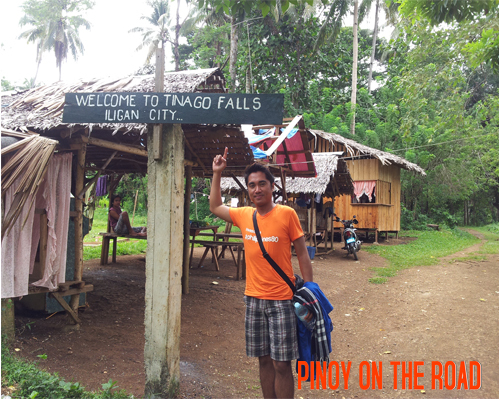 Indeed, Iligan is the City of Majestic Waterfalls! 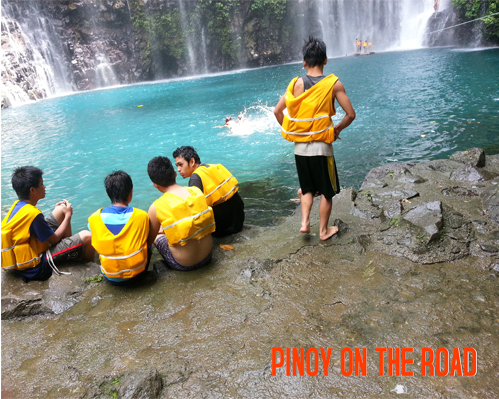 can i set up camp tent at tinago falls?